I’m now working with Professor Michael Keating and Dr Emily St Denny on a work package for IMAJINE (Integrative Mechanisms for Addressing Spatial Justice and Territorial Inequalities in Europe). We are leading WP6: Multilevel Policy-making and Inequalities, which “will explore how states design fiscal regimes and public services to mitigate the effects of socio-spatial inequalities”, through case studies in areas including Greece, Poland, Scotland and Wales”. The theory and practice of evidence-based policy transfer: can we learn how to reduce territorial inequalities? ‘Co-producing’ comparative policy research: how far should we go to secure policy impact? Here is our initial conceptual framework to guide empirical research. And here is a picture of many of us. One of our work plans is to look less menacing by year 4. Here is a guide to writing theory-driven policy analysis. Your aim is to identify a policy problem and solution, know your audience, and account for the complexity of policymaking. At first, it may seem like daunting task to put together policy analysis and policy theory. On its own, policy analysis seems difficult but relatively straightforward: use evidence to identify and measure a policy problem, compare the merits of one or more solution, and make a recommendation on the steps to take us from policy to action. However, policy process research tells us that people will engage emotionally with that evidence, and that policymakers operate in a complex system of which they have very limited knowledge and control. So, how can we produce a policy analysis paper to which people will pay attention, and respond positively and effectively, under such circumstances? I focus on developing the critical analysis that will help you produce effective and feasible analysis. To do so, I show how policy analysis forms part of a collection of exercises to foster analysis informed by theory and reflection. Describe the context. There are two fields of study – theory and analysis – which do not always speak to each other. Theory can inform analysis, but it is not always clear how. I show the payoff to theory-driven policy analysis and the difference between it and regular analysis. Note the two key factors that policy analysis should address: your audience will engage emotionally with your analysis, and the feasibility of your solutions depends on the complexity of the policy environment. Describe how the coursework helps you combine policy theory and policy analysis. Policy analysis is one of four tasks. There is a reflection, to let you ‘show your work’; how your knowledge of policy theory guides your description of a problem and feasible solutions. 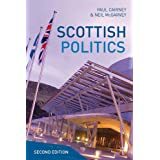 The essay allows you to expand on theory, to describe how and why policy changes (and therefore what a realistic policy analysis would look like). The blogs encourage new communication skills. In one, you explore how you would expect a policy maker or influencer to sell the recommendations in your policy analysis. In another, you explain complex concepts to a non-academic audience. 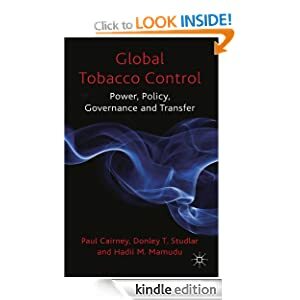 I have written this document as if part of a book to be called Teaching Public Policy and co-authored with Dr Emily St Denny. For that audience, I have two aims: (1) to persuade policy scholars-as-teachers to adopt this kind of coursework in their curriculum; and, (2) to show students how to complete it effectively. If you prefer shorter advice, see Writing a policy paper and blog post and Writing an essay on politics, policymaking, and policy change. 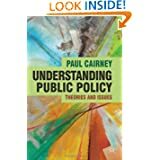 If you are interested in more background reading, see: The New Policy Sciences (by Paul Cairney and Chris Weible) which describes the need to combine policy theory-driven research with policy analysis; and, Practical Lessons from Policy Theories which describes eight attempts by scholars to translate policy theory into lessons that can be used for policy analysis. The theories make more sense if you have read the corresponding 1000 Words posts (based on Cairney, 2012). Some of the forthcoming text will look familiar if you read my blog because I am consolidating several individual posts into an overall discussion. I’m not quite there yet (the chapter is a first draft, a bit scrappy at times, and longer than a chapter should be), so all comments welcome (in the comments bit). Our MPP class started talking about which Tom Cruise character policy analysts should be. It started off as a point about who not to emulate: Tom Cruise in A Few Good Men. I used this character (inaccurately) to represent the archetype of someone ‘speaking truth to power’ (yes, I know TC actually said ‘I want the truth’ and JN said ‘you can’t handle the truth’). The story of ‘speaking truth to power’ comes up frequently in discussions of the potentially heroic nature of researchers committed to (a) producing the best scientific evidence, (b) maximising the role of scientific evidence in policy, and (b) telling off policymakers if they don’t use evidence to inform their decisions. They can’t handle the truth. This involves showing simple respect and seeking ways to secure their trust, rather than feeling egotistically pleased about ‘speaking truth to power’ without discernible progress. Effective engagement requires preparation, diplomacy, and good judgement as much as good evidence. One solution [to obstacles associated with organizational psychology, discussed by Larrick] is ‘task conflict’ rather than ‘relationship conflict’, to encourage information sharing without major repercussions. It requires the trust and ‘psychological safety’ that comes with ‘team development’ … If successful, one can ‘speak truth to power’ … or be confident that your presentation of evidence, which challenges the status quo, is received positively. Under such circumstances, a ‘battle of ideas’ can genuinely take place and new thinking can be possible. If these circumstances are not present, speaking truth to power may be disastrous. focus on engagement for the long term to develop the resources necessary to maximize the impact of policy analysis and understand the context in which the information is used. Among the advantages of long-term engagement are learning the ‘rules of the game’ in organizations, forming networks built on trust and a track record of reliability, learning how to ‘soften’ policy solutions according to the beliefs of key policymakers and influencers, and spotting ‘windows of opportunity’ to bring together attention to a problem, a feasible solution, and the motive and opportunity of policymakers to select it …In short, the substance of your analysis only has meaning in relation to the context in which it is used. Further, generating trust in the messenger and knowing your audience may be more important to success than presenting the evidence. I know TC was the hero, but he couldn’t have succeeded without training by Emily Blunt and help from that guy who used to be in Eastenders. To get that help, he had to stop being an arse when addressing thingy from Big Love. In real world policymaking, individual scientists should not see themselves as heroes to be respected instantly and simply for their knowledge. They will only effective in several venues – from the lab to public and political arenas – if they are humble enough to learn from others and respect the knowledge and skills of other people. ‘Speaking truth to power’ is catchy and exciting but it doesn’t capture the sense of pragmatism we often need to be effective.